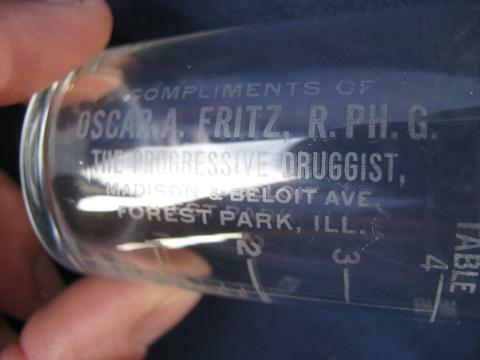 Vintage graduated glass measure for medicine, etched Oscar A. Fritz R. PH. 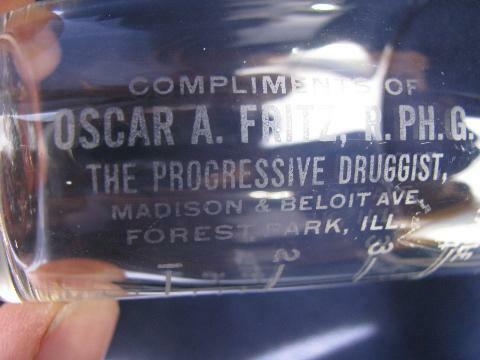 G. - The Progressive Druggist - Madison and Beloit Avenue - Forest Part Illinois. 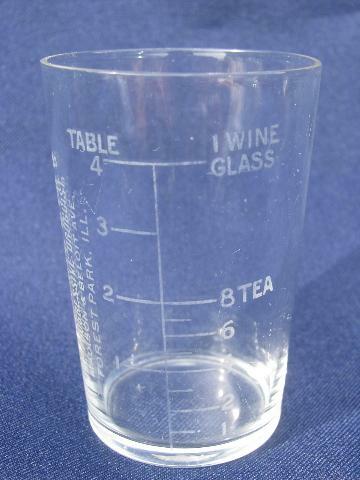 The glass is 2 3/4" tall, marked for up to 4 tablespoons or a 'wine glass' full. 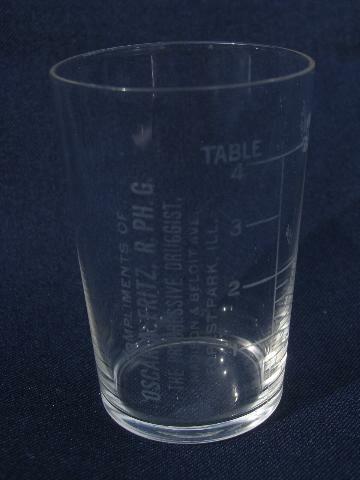 It's in very nice condition without chips or damage.